Erik Wolf: Hello and welcome to a thrilling new episode of The Denver Executive Association Trusted Advisor podcast. We’re here at the Ritchie Center at Denver University, magically floating high above the hockey rink where 30 of Denver’s championship-caliber business executives meet twice a month. We talk, we share knowledge, we share connections, and we share business. And twice a month one of them is put under the lights without an attorney and forced to talk to me. My name is Erik Wolf and I’m with the digital marketing agency estound. We serve small and midsize business owners with CMO-level digital strategy, website design and development, search engine optimization, pay-per-click advertising, marketing automation, yadda yadda yadda, all that good stuff. My guest today is Mr. Bob Zarlingo who brings more than 40 years of experience as a CPA dealing with the owners of closely held businesses. He knows how they think and has been accused of thinking more like a business owner than a CPA. 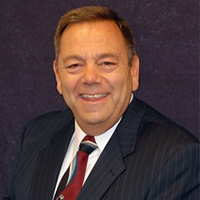 Bob’s expertise in financial reporting income and estate planning and tax compliance makes him a valued and trusted advisor to the clients he serves. And lately, his focus has been all about exit planning. Welcome to the big show Bob. Bob Zarlengo: Thank you Erik, I’m glad to be here. Erik Wolf: So let’s start by getting the buzzword out of the way. What is exit planning, why have we been hearing so much about it over the last couple of years and why should business owners be thinking about it? Bob Zarlengo: Well exit planning is just what it says it’s planning your exit from a business that you’ve dedicated the majority of your adult life to. Why is it important? Because the demographics of society are such that most business owners, baby boomers primarily are coming of age and are to the point where they’re going to be either willingly, or unwillingly in the case of certain health issues, of needing to exit their business or wanting to exit their business. And so my role in the process is. Erik Wolf: And we want them out, right? Bob Zarlengo: Do we want them out? I don’t know, I guess? I always know there are three things that all business owners have in common whether they’re selling Tupperware or sophisticated software and that is, number one, is they don’t want to pay any more taxes than they absolutely have to. Number two, they’re all going to leave their business at some point in time. That’s a given fact. Number three is if you try to do it without somebody who knows or who plays in that arena of exit planning, they’re going to leave money on the table. And that’s true whether you hire me or not. Erik Wolf: For a second I thought we were talking about like you’re going to disappear like the Sopranos or something like that. Like, “Hey you want an exit? We’re going to exit you. So tell us your business story, Bob. Where did you start and how did you get to this point where you’re at today and going from a CPA to exit planning. Bob Zarlengo: Ok I’m kind of a nominally in the business arena in that I started at a CPA firm on April Fool’s Day in 1972 and I retired from that same firm in on April 30th, 2017. So that was after 45 years of time there. Over the course of the time, I started as a staff accountant, became a partner after about five and a half years and functioned as the audit partner and more of a general client service partner. I dealt primarily with closely held business owners and you can’t talk to a closely held business owner without knowing a lot about taxes because that’s that’s what keeps them going is what can I do to challenge the government’s way of thinking today or so on. And so that’s that’s been my experience. And then I retired at the end of April in 2017. It was a what I call an age-appropriate decision based on the partnership agreement and back in 2012 I started working with exit planning specifically because seeing the onset of so many baby boomers coming of age that I knew that it was going to be a real need out there to help business owners achieve that goal in a way that they’re satisfied with what they got out of it. Erik Wolf: Is there something particular in your past that you feel has really prepared you to talk to folks about exit strategy today? Bob Zarlengo: Well just in dealing with closely held business owners over that greater length of time is that you learn how they think and their thinking doesn’t change that much when it comes to planning. What do they do to manage the income of the business this year compared to what do they do to plan and manage the income and taxability of probably what’s going to be the single largest financial transaction of their lives? Erik Wolf: I would really love to hear just a good story about how you’ve either helped somebody out of the jam and in trying to plan this stuff or maybe even if you’ve just been able to successfully change somebody’s thinking in sort of a transformative way. Bob Zarlengo: Sure I can tell you a story about a client I have in Tucson. He had grown up in a business environment where his ultimate goal was to get capital gains treatment on the sale of his business whether he sold it to his family members or to a third party. Erik Wolf: And take a step back. Explain what you mean by capital gains. Bob Zarlengo: Capital gains is a preferential tax rate. It’s a lower tax rate than ordinary income rates. And and so it was at the time we started talking about it it was probably close to a 17% difference in the taxability of the of the proposed transaction. And so he had this plan all laid out and he called me and said, “This is what I want to do.” This was at the end of 15 going into 16 and his target date was the end of December 19. Well I said OK let’s get our hands around what we think the business is worth today because that’s usually a starting point. Draw a line in the sand and see if we can improve it. But so we came up with the business valuation and I said now walk me through the strategy and all during this timeframe his daughter who had been working with him at that point for about 12 years was starting to really show an interest on wanting to acquire the business. And so he said, I think I’m ready to sell it to my daughter and I said well you do realize that most closely held businesses are really a big family and yours is true more than others because you’re related to the key person. But if you had a key person that was with you for 10 or 15 or 20 years and you were going to sell it to them that person would probably be as close to you as one of your own kids because the truth of the matter is when you work with somebody every day you live and breathe their wins and losses in life. And so they are very close to you as a person. So anyway all little businesses are like a big family. And in the proposed plan that you have set up where you come up with the value of the stock and you maybe have a down payment and then you carry the balance on a note you’re going to have a double taxation because when you signed the note and your daughter acquires the stocks she’ll be the shareholder of this S-corporation which is a pass-through entity. Most small businesses are passed through entities. And so she’ll be as the company continues to make money, she’ll be reporting the taxes on that money that the company makes. And then what’s left after she pays the taxes, let’s say the company makes 100 dollars and she pays 40% in taxes. So she’s got 60 dollars left. She gives that 60 dollars to you as a payment on the stock that you sold her. And then when you record the stock sale then you pay taxes on the 60 dollars. And even if it’s at 20 percent, that’s another 12 bucks. And so you’re at 52 dollars on the total transaction. Forty dollars on her end and 12 dollars on yours, you’re paying over 50% of the transaction costs in taxes and so there’s a way to eliminate the double taxation if you want to do it and I can walk you through that. And so obviously you know eliminate taxes and his eyes lit up as they do with most closely held business owners. Erik Wolf: He’s only got 100 bucks so he can’t afford. Bob Zarlengo: He can’t afford to mess around with it. Well anyway. So what we put together and we have the attorneys drafting it now in 2018 so we’ll be able to put it into place at the end the 19, is a non-qualified deferred compensation plan that the company would sign and in effect commit itself to pay him X dollars over the next 10 years. When that happens, when that transaction, when that agreement is signed there’s no tax consequence immediately to either side. But when the company starts to pay it out the company gets an ordinary deduction for it and he picks it up as ordinary income. Then right away his lifelong dream of the capital gains treatment is out the window. And I said well let’s do this. We can play with the with the non-qualified deferred compensation total amount to cover the differential in taxes so that you’re still putting the same amount of money in your pocket at the end of the day. And at that point, you shouldn’t care whether it’s whether it’s capital gains or ordinary income as long as you’re getting the same amount of money that we early on we were targeting for you to get. Once the non-qualified deferred comp agreement is put on the books of the corporation it brings the value way down to a nominal value. And at that point he can give it to his daughter or he can sell it to her at the net book value and she pays a nominal fee for it and there’s still a double tax if she ends up buying it that way or he gives it to her. It’s not an issue. And so we walked through that and after three or four meetings he started to understand and then there are some other strategies along with that where you would have to address the payroll taxes on that non-qualified deferred comp, because it is considered compensation, and if you front-end load the payroll taxes you can save the Social Security on that money in all the years that you’re using to pay it out. In his case, it would be a 10-year payout. And so that’s a home run in that case where he’s he ended up reducing the tax liability from 52% down to 40% because he’ll be paying at that rate and then it was further reduced with the latest tax bill that Donald Trump signed that brought it down to probably it’s going to be about 30-33% when it’s all done. Erik Wolf: And that ladies and gentlemen is why you need an exit plan. Bob Zarlengo: Yeah and I got to be honest with you with the background as a CPA you have an insight on what works and what doesn’t work and what’s attractive and what’s not attractive. So that’s one, I can give you more examples if you want but that’s the current one I’m working on. He’s very excited about it. The daughter is very excited. We’re in the process of working with the daughter to give the public the image that she’s the face of the company. We had a meeting with the banker back in May and I said here’s the bullet points, you’re going to run the meeting, you have to let the banker know that you’re the one that’s going to be making decisions, you’re in charge. And if we do nothing else that day then it’s a success. We’re not asking to borrow any money but we want them to start feeling like she’s calling the shots if I have questions that’s who I’ll talk to. And then the next meeting with the banker will be to lay out the plan so they see what’s going on. Erik Wolf: So Bob this is we call it the trusted advisor podcast and so I am compelled to ask you for some free advice. Give me a quick tip for someone who doesn’t have an exit plan. What in your mind is step one? Bob Zarlengo: Step one is picking a date and that date can be 20 years out or it can be five years out or two years out. But when you pick a date you put it someplace where you where you see it. I tell clients to write it on a sheet of paper. And to put it above the light switch in their office so that when they see it every day it will change the way you think. The investment bankers that come in and are interested in buying up the companies that are outperforming their industry and they pay a lot of money for them, they won’t buy a company unless they know the day they’re going to get rid of it. And so that’s the way they function on it. Even if it’s an investment banker or I call him the Harvard MBA’s. When they come in they know how long they’re going to try to keep a company and have it make money and then get rid of it or improve the way it makes money. Erik Wolf: Well thank you so much for being with us Bob. We really really appreciate it. How can all of the good folks listening at home get in touch with you? Bob Zarlengo: I operate under Robert J. Zarlengo Inc. It’s a have a Web site. Look at it. There’s a lot of testimonials on there of people that I’ve helped. Adding testimonials almost every day. And so give me a holler. You can call me on my cell phone, or cell phone is my only phone, 302-589-1613. Or you can email me at bzarlengo@rjzinc.com. So you can email me and I respond to all emails and cell messages as quickly as I get them. Erik Wolf: Thank you so much and thanks everybody for listening to the DEA Trusted Advisor Podcast. We’ll be back with another interview next time.